Meadow Sweet is a beautifully converted stone barn at my home farm of West Hook, Okehampton in the heart of glorious Devon . 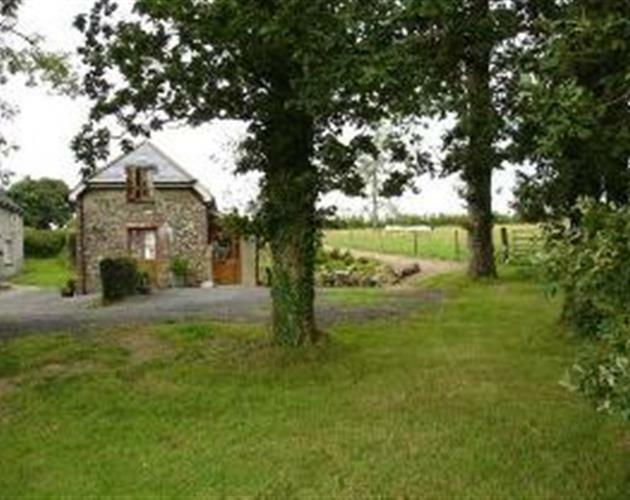 Meadow sweet is one of a group of three cottages. 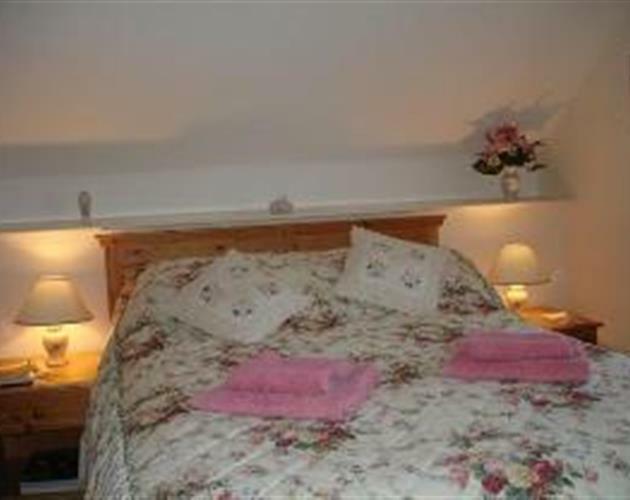 Daisy cottage and Clover cottage are run as holiday cottages by my mum and sister Ruth. Meadow Sweet is fully detached, and is set in tranquil grounds enjoying idyllic views over grazing sheep and cattle, behind which is Okehampton and the vast expanse of Dartmoor National Park . 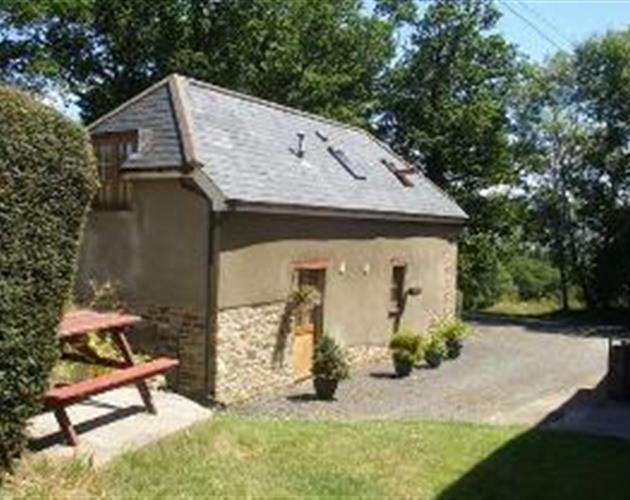 Meadow sweet is perfect for walking holidays as it is located on the edge of Abbeyford woods which is abundant with wildlife, there are marked foot paths to walk as well as the word famous Tarka Trail which is just a stroll away from the front door. We have been lucky for the past few years to have had some of the B.B.C film crew stay here while they have filmed the B.B.C. Spring Watch program which was set just a few miles away from the cottage. 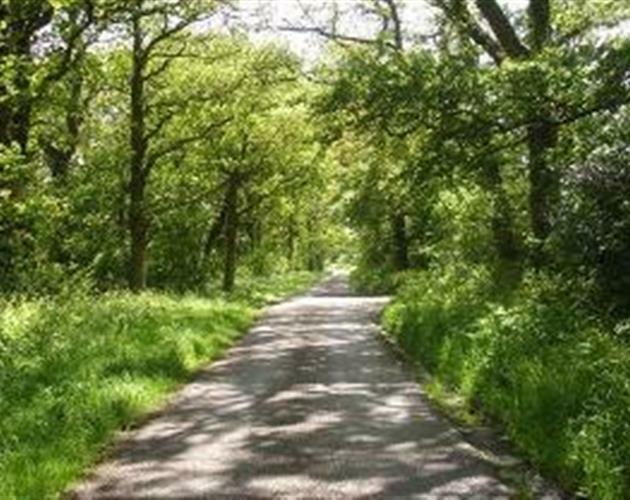 If you enjoy cycling then look no further than cycle route 27 which passes at the end of the lane, in the wood is a North Shore bike course enough to challenge the most experienced mountain bike rider. Even if you are not brave enough to have a go yourself it is fun to go along and watch others try it out. Okehampton is in the centre of Devon so it is easy to explore both the rugged coastline of North Devon from Hartland via the famous cobbled village of Clovelly , through to the sandy beaches of Instow, Saunton, and Woolacombe on to Lynton and gateway to Exmoor National Park Lynmouth. The South Devon Coast is much softer with its lively harbour including Dartmouth and Torquay but why travel so far to the coast when you have Dartmoor National Park right on your door step! With rocky tors, wild ponies and cosy pubs, historic market towns like Tavistock, and Hatherleigh, quaint thatched cottages and clotted cream teas, there is so much to do and explore here in Devon you will need to stay longer. Meadow Sweet is a lovely county cottage. 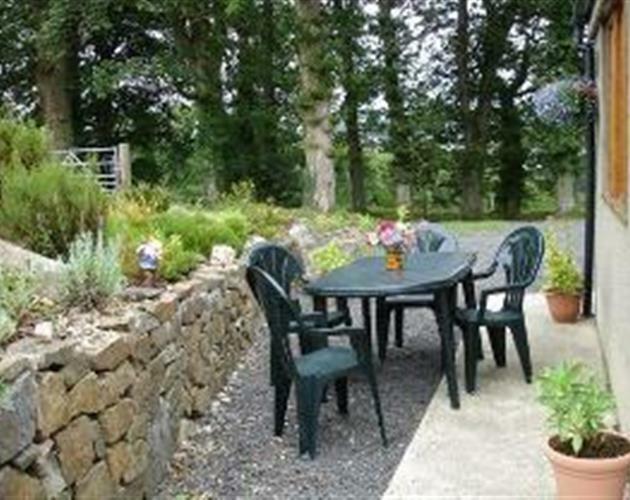 There is ample parking outside, a picnic and BBQ area and plenty of grounds for children to play in. In the Cottage is a cosy sitting room with T.V. video and a video library as well as lots of information including what's on and where to go to sample the best of Devon 's produce. The country style kitchen has an electric cooker, microwave, and fridge freezer where a welcome basket of fresh local produce will be waiting for you to get your holiday off to a good start. The kitchen leads on to a pleasant dinning room, there is also a W.C. and shower downstairs. Upstairs overlooking the fields is a romantic master bedroom with double bed and a pretty twin room with views over Okehampton and Dartmoor . Beds are all made ready for you when you arrive and two towels per guest are supplied. The bathroom has a W.C. hand basin and a bath with overhead shower. Visitors to Meadow Sweet are always very welcome to walk up to the Farm which is about 100 meters away to see the sheep and lambs, ducks, geese and chicken, here fresh eggs are also available for you to buy. During your stay at Meadow Sweet, Mum or Ruth will be happy to help you in any way they can.